We recently received a NEW picture of the full sister to the classwinner in the 2yr. Old class at this years World Dairy Expo: Kingsway Doorman Andrea EX-91-USA. 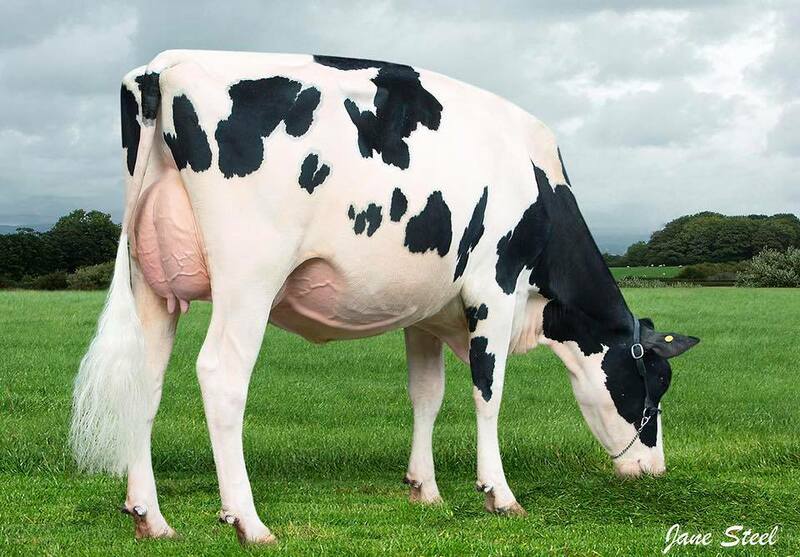 Her full sister Absolute Doorman Aringadingding VG-86-UK 2yr. is owned by Absolute Genetics in the UK. She is fresh in her first lactation and looks absolutely stunning! She is a direct daughter of the Honorable Mention All-Canadian 4yr. 2014, Res. All-Ontario Mature Cow 2016 & All-Canadian cow Kingsway Sanchez Arangatang EX-95-USA! Aringadingding her showwy April '18 Callen heifer sells at the Black & White Sale. Ready for the big shows coming up! 6 generations EXCELLENT dams in her pedigree! Her showwy April '18 Callen heifer sells in the Black & White sale!